your buffs no longer wear off in the nexus. Does anyone know anything about a hidden passage to PC (or somewhere else?) from the POK book in the Nexus? The guard at the entrance to the short passage to the POK book from the Nexus says something about a rock fall killing their people while trying to tunnel through to PC, and if you look to the left when standing before the POK book, the top left boulder kind of flashes on and off as though it's not all there. Anybody know what this is? Anybody know any way to shift rocks? I can't climb up to it to see if i can get past. Maybe someone with levitation could get to it, or a tracker could see if they can track anything in that direction. May be a stupid idea, but my curiosity is niggling me. Look, here is the deal... If you want to fight here, you gotta make sure to have a slower or kite, and make sure not to get anyone in robes or armor or in cloth, because they cast Elevendy-thousand damage Manaburn and after your hit with that its hard to heal because of the blind effects. Also if your using and EB item to not die because of the open hole in the ceiling to space, make sure to not fight anything in a Robe or Cloth or Plate. Because they have Spell:Take off Enduring Breath!! Ya, its a tough zone, that is why its marked as 60+. Ok so anyways, here is the skinny, the ones in Robes will Lay on Hands you for up to 60 damage, and the ones in Cloth with Lay on Hands you, for 60 damage, but the ones in armor will freaking Lay on Hands you, for 60 damage. They drop awsome stuff, like Dragon Talis. They have kinda high HP but no Regen, so its great, your best bet will be to Lull all of them in the zone and then fear kite and have a cleric melee, since they get the bane to undead summon hammers. Hopes this helps all you low levels lookin for a desent zone. /could someone please tell me how to travel from the nexus to PoK. These are the zone and location of the spires that port you to Luclin. The locations are the locations given for wizard port spell to that zone so I'm guessing they are the same place. The only location which I didn't use the wiz spell loc for is the one for The Great Divide loc -3766, 3651 which isn't anywhere close to the location of the spires. (Not a wizard so not realy sure why they don't port into the spires). Velious = The Great Divide (approx loc. -1600, -2700) ? All spires port you into location 0,0 in the nexus. 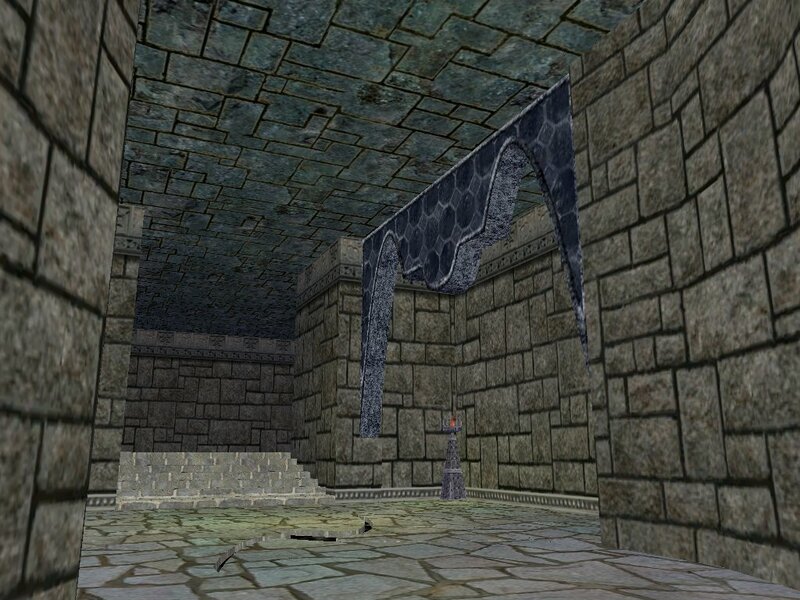 With last patch (14/10/02) there have been new Luclin ports interduced. But I've not checked these so don't flame me if you end up somewhere else. Can someone please list the locations of the portals on the main land that'll take you to the Nexus? I haven't bought Luclin yet, but am planning on it, and I'm curious as to where everything's located. Particularly near Freeport, but a full list would be most appreciated. You may have noticed that wizard ports occur at two different types of structures. One is a flattened pyramid shape surrounded by four straight spires at the corners. Let's call these platforms. The other structure type is a set of four huge curved stone spires. Let's call these spires. Only the spire structures are used for the "automated" ports to the Luclin Nexus. 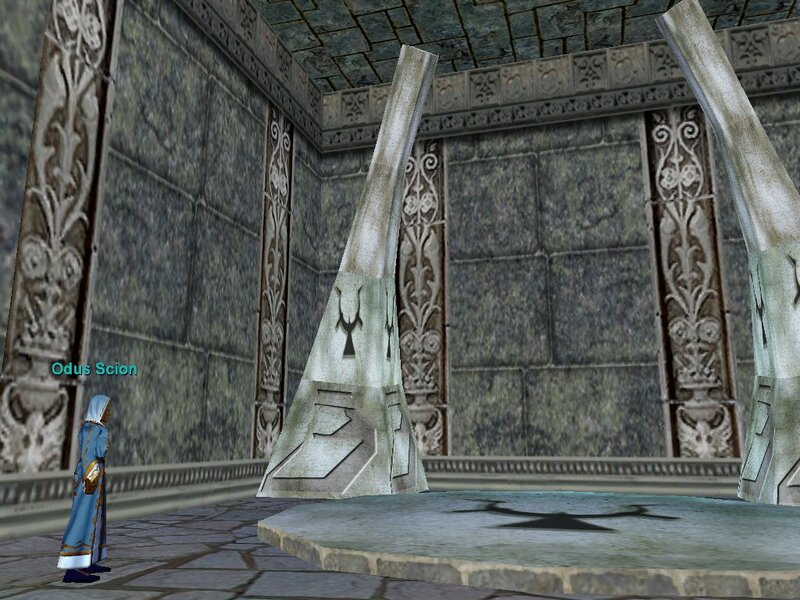 Luclin port points are at Norrathian wizard spire locations tended by white-robed "scions". Unless new ones were added with today's patch, these spires are listed below. 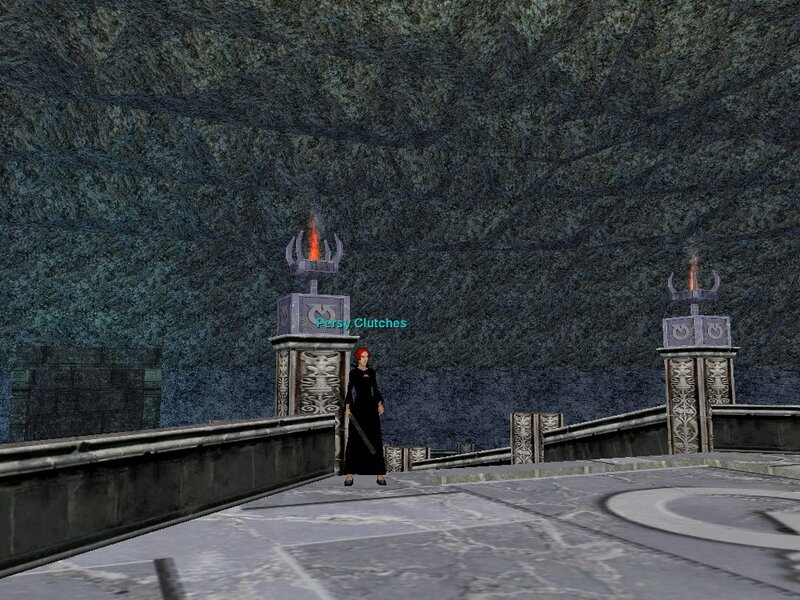 *Velious ports are a bit different from the rest of Norrath. When porting to Velious, your destination is going to be at a "dragon ring", and not at the familiar druid Stonehenge-type rings or Wizard spires/platforms. In the Great Divide, there is set of standard wizard spires. However, these seem to be only for transport to/from the Luclin Nexus. Wizards using the Great Divide gate or port spells will not find themselves delivered to these wizard spires. I hope this helps you out a bit. Good hunting. where does one come out at? I've used the nexus from Greater Faydark, but wonder where the others come out. Anyone have a map or list? * it is deathly boring using it on orc pawns and the like that are simply going to run out of range for you to effectively practice. Luckily, you can cast this spell on yourself (or any of the NPCs) in Nexus or Bazaar without and harmful side effects, so I found it to be the ideal place for me to nuke/blind/disease myself and others to get the skill up -- and there are usually enough enchanters travelling through who will cast breeze/clarity and intellectual advancement to help you along. Just created an SK ikky alt and was wondering if I can use the Nexus. As it is, my main uses the Nexus more traveling around now than paying for ports. Are Iksar KOS in nexus? Nope, no, nine, and any other form of no. All races/classes are welcome in Nexus/Bazzar/Shadow Haven. This is why on Sullon Zek Bazzar and Nexus are the ONLY zones that are NOT PVP ENABLED! -Is it "Ha ha" funny, or "Ha ha the world is gonna end tomorrow" funny? -You cant be lost unless you have a destination in mind! Does anyone know if any of the portals take you the wizard spire in GD? or just the other 4 continents? The one for Odus does Velious also. Porting for Cash Now Dead? So, with the new Nexus open is the practice of the Druid or Wizard selling ports to other players a dead end? If anyone can port from a Wizzie spire to Luclin and then to any other Wizzie spire I would think that this seriously reduces the need for Druid/Wizard port spells. RE: Porting for Cash Now Dead? I agree, the Druid or Wiz tp is much faster and they can port from anywhere. Using the nexus is nice if ya have the time but you can count on wasting 30 min to get to where you want. just FYI: the velious portal lets out in the great devide. Yes, the spires on Antonica are in NK, just north of (and in sight of) the white bridge that leads across the river to SK. 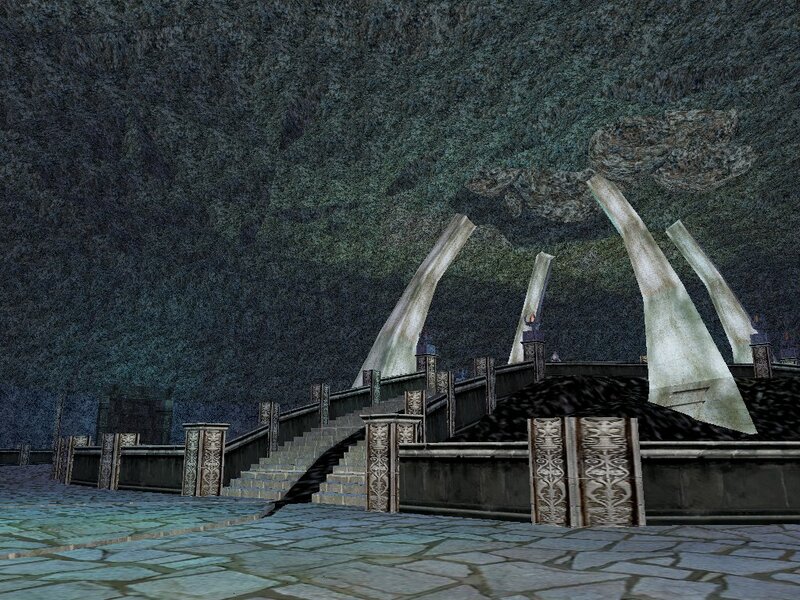 In Kunark it is indeed in the Dreadlands. Porting for cash is definitely still alive and well, at least on my server (Vazaelle). The bane of many a traveler from Freeport to Qeynos has been Kithicor Woods. Speaking for myself, I've been killed 50% of the time trying to get through that zone to cross the continent. Now with access to the Nexus almost any mid-level character can travel safely to either coast. I have been through this zone 15 times at least and only killed the first time. I run the wall and never have a problem. Where is the Knuark Spire to enter Luclin? Finally a way for non wizards and druids to get around! It was MUCH faster for some of my characters in Qeynos to go to Odun and the Toxx Forest spires, port to Luclin and then port to Greater Faydark than to run all the way across Antonica and catch the boat at Freeport. Not to mention much safer. The Nexus is now one big interplanetary bus station. Hope the Shadowhaven folks keep the bums out. How do you get there already? OK, I've been at the wizzy spires in NK when the 'port to Luclin opened up. The Magical Voice (or whatever) said something about having a shard ready? What is this shard, and where is it got? RE: How do you get there already? "Beauty is in the eye of the Swordholder"